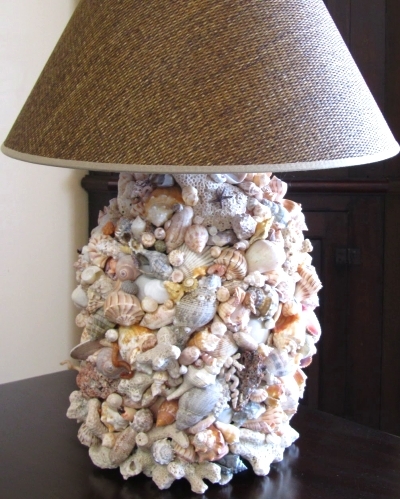 Any lamp can be transformed into a stunning sea shell lamp. 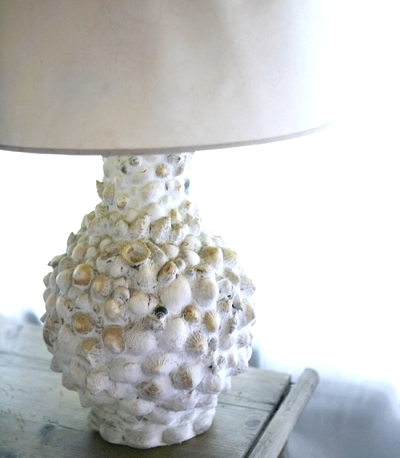 Here are a few great examples that show how to revitalize an old lamp or decorate a lampshade with sea shells. The shell lamp design you choose to create depends on how large your Seashell Collection is. This shell lamp by Connecting Pieces is fully Covered with Shells. E6000 glue was used because the bond is permanent after 24 hours. You start with the heavy shells first, and keep them in place with painter's tape. Shell lamp with stone look, due to using grout. The process is the same as above, only you don't need to fill in all the gaps with small shells, the grout will do the job. This idea works best with smaller shells. Original source unknown. 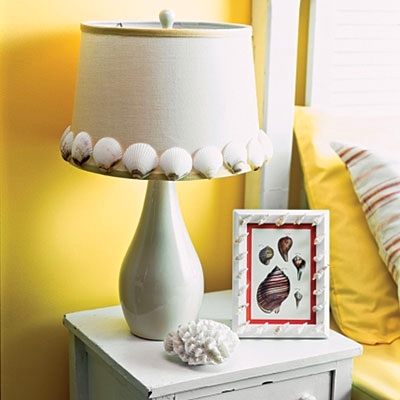 Cute shell lamp from The Lettered Cottage., featured here. An inexpensive ceramic base is covered with Oyster Shells and fragments of beach glass. Seen at Southern Living. 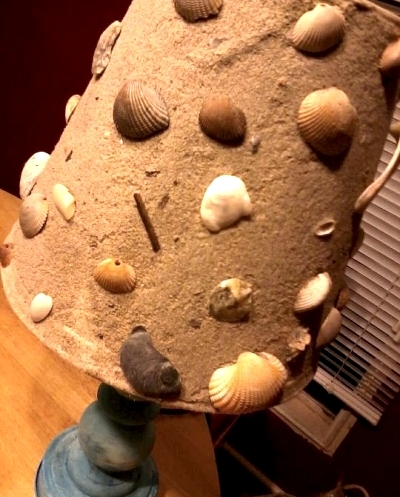 A thrift store lamp was made over with blue paint, Sand and shells were glued to the shade. Via Pinterest. Featured on Decorative Ideas with Crushed Shells, this glass wall sconce was embellished with a crushed shell trim. 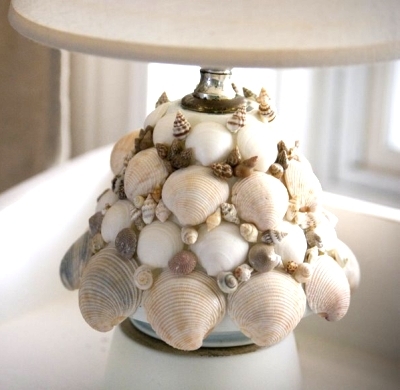 For another neat wall sconce makeover with shells, click here. Via Nancy's Daily Dish. 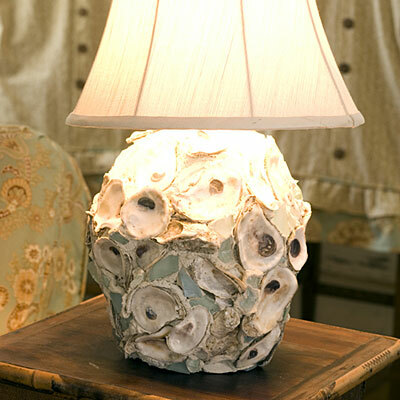 Use a glue gun to attach shells onto a simple lampshade for an elegant look. Seen at All You.